“The Better Way to Live Alone.” Your homework is to study this interpretation by Osho, and do a reality check on your streams of habitual thought. “There is a teaching on “The Better Way to Live Alone” which defines “living alone” to be the experience of having one’s mind free of thoughts about the past and future, but is instead focused on the “present moment.” But I can live physically alone but not be alone at all. If my mind is full of memories of the past and thoughts of the future, I can live physically alone but not be alone at all. If my mind is full of memories of the past and thoughts of the future, I can live physically alone while dialoguing with the deceased, reliving a past conversation or some painful (or joyful) incident or experience. Or I can be mentally rehearsing or imagining some future conversation, some future event. Crises of History require a similar response – be mature, present, steady and above all – do the necessary internal work. Develop “impermanence” and “signlessness.” The Buddha provides instruments, practices and teachings to get there. As do the Wisdom of the Elders. We cannot tame the mouth until we have tamed the mind. We cannot adapt to Climate Change until we change our mindset. Put into reality the Art of Deep Listening and find the way to be present with our consumption. Are we even aware of the toxins pouring through our senses OR are we trapped by self-absorption and distraction? Need to Let Go Big Time – organic gardening in the mind. Listen to the Ocean – Universal Consciousness. Putting Foundation Teachings into Action, Thursday, January 22, 2015 . 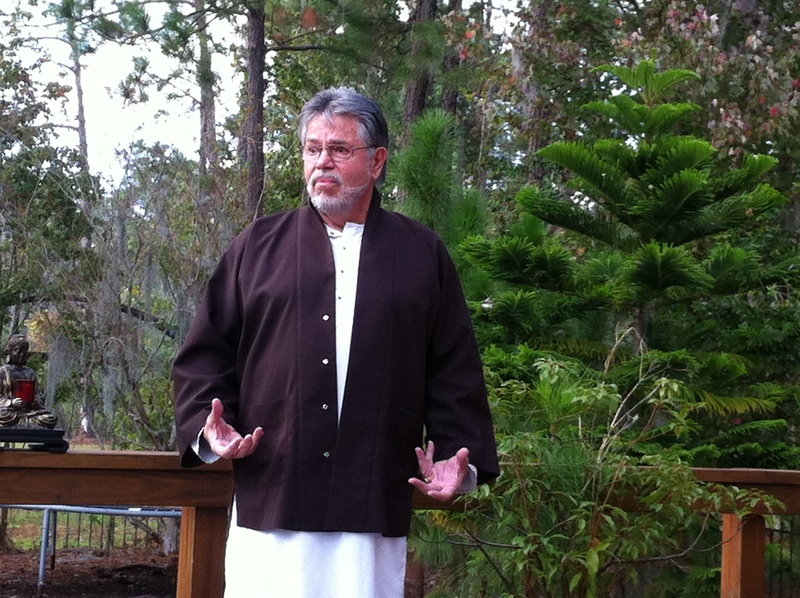 The last two weeks provided a review of Buddhist foundation teachings. What do we do with them now? Come out on Thursday February 22 to see how the foundation teachings have been placed in education, medical care, social services. And ask why not in government, business, police, community. This evening is about turning the Dharma Wheel of Action. Mindfulness and Concentration provide the insights for Right View, which then guides Thinking, Speaking and Action. The why and how of making the Noble Eightfold path alive in everyday life. …….is a blockbuster, in a new format created by Br. Yves. It is in blog form on Word Press to encourage feedback and interaction. Each article is a blog from Article 1: Sacred Moments through to Article 16: About Pine Gate. A different navigation process but well worth the while. A deep bow of gratitude to Yves and all the contributors. You are invited to the most meaningful New Year’s Eve party in town. On New Year’s Eve there is a special tradition at Pine Gate. 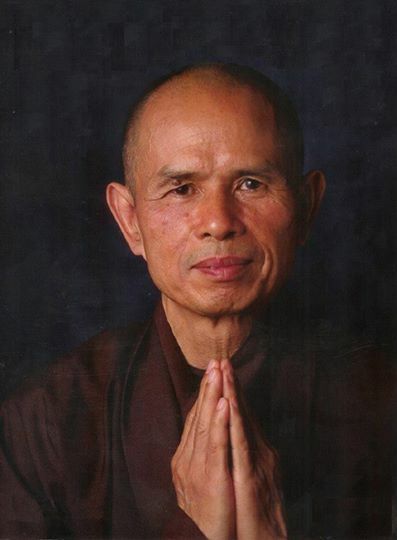 We welcome the new year of 2015 with a recitation of the Fourteen Mindfulness Trainings. This is a complete map of ethics to navigate the difficult times we are in. The trainings are a guiding light to pierce through the darkness that threatens humanity and the planet. How do we choose to behave towards one another when things begin to collapse? Will we be steady and generous or think only of ourselves? 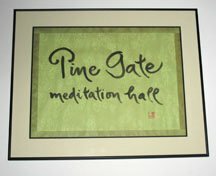 Pine Gate’s response is – ” Enter The Bodhisattva. ” There is homework – write down all you wish to move on from and what do you wish to move to. Then whoosh it into the fire with community support to make it so! Righteous Anger: Gaza and Israel. All such conflicts require the active and intentional cultivation of Zen Mind. Chop Wood, Carry Water motif to navigate the pitfalls of hatred, distraction, violence, past wounds. We deal with the fundamental pollution – in the human mind. Making the world better requires that we make our minds better. The task is to make our thinking better – stop running around so we are seen to be doing good. Navigate more skillfully. The Four Brahmaviharas meditation a good tool. All children’s songs an effective antidote. Chop Wood, Carry Water – stillness and clarity. A recent protest in Antigonish, N.S. supporting Gaza produced yelling hate, violence and anger. There was a woman standing apart with a list in one hand and purple chalk in her other hand. She was carefully and quietly writing down on the edge of the sidewalk of Main Street, Antigonish, N.S. the names and ages of every child killed in the Gaza bombardment. Question: Which protest do you think had the most impact? Breakdown of Industrial Growth Society. Staring into the abyss. No limits, no maturity. Newton, CT massacre and gun control, pre-adult males with mental illness – the Carry Movement and “ammosexuality.” Immaturity – NOT defense of 2nd amendment rights. STOP; RE-ASSESS; ENTER THE BODHISATTVA – NOW. Interbeing, non-discrimination. No Time To Lose. Shantideva’s unwavering encouragement from the 8th century. Buddha Mind. “Ego” is very disappointed with Awakening – so let us all disappoint the ego. Heed the Hopi Prophecy of 2008. Zen Practice has a very practical nature – Chop Wood, Carry Water – and being aware of precisely doing it. The cultural origins from China and Japan do not necessarily travel well to western countries, so I have adapted the form somewhat and kept the essence. Total silence for three rounds of – sitting meditation, walking meditation, stretching meditation. We listen to the bell calling us back to our true selves for guidance, listen to our breathing and through the disciplne of this practice we settle into a deep calm and harmony with everything around and within is. The deep silence during three rounds of sitting meditation, walking meditation, then stretching meditation. The silence deepens as we settle gently into the quality of our mind. Nowhere to Go, Nothing to Do. The simplicity and elegance of silence. The cadence of sitting with breathing in and out, the flow of walking with breath – in and out, the joy of stretching with breath in and out. Then repeat the entire cadence three times. Planting seeds. The Dharma And The Sangha begins with the conditions leading to the Buddha’s first dharma talk and the intention to offer the dharma through appropriate vessels that are skilfull instruments to guide understanding – with a clear emphasis that the Raft is not the Shore. The talk ends with a story about levels of deep listening inspired by an adventure Ian and his son experienced in the drug underworld of Glasgow, Scotland. In between, a tapestry unfolds of skilfully creating sanghas as the masterpiece of your life in the manner of the Buddha, so that we may touch the original artist of the masterpiece through sangha building. The emphasis is on creating sangha cornerstones and the concrete example of Pine Gate Sangha and Friends for Peace in Ottawa is a reference point for activism based on sangha cornerstones.